Property Managers and Strata Council Members need to consider money-saving roof solutions. Roof maintenance saves dollars and will extend the life of your commercial roof, whether it is on a warehouse, condo building or townhouse complex. As a member of a strata council, it became clear to me how important roof maintenance is. 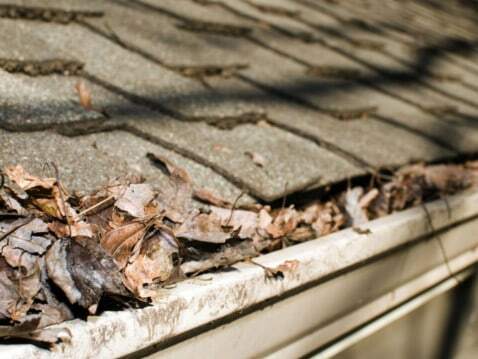 If the roof is not maintained properly, then it will need to be replaced and that means a considerable expense to the owners of the property. In the case of a strata environment, there is a very good chance that the contingency fund will not be large enough to absorb this type of expense; so a levy on each homeowner is often necessary. Whether the roof is new or old, develop a maintenance program NOW with a reliable commercial roofer; don’t wait until the repairs are too costly or the roof needs a tear-off. Strata owners had to replace a tar and gravel roof on the building that my mother lived in. Many of the owners in the building were elderly people, on fixed incomes, and any kind of levy at any time is an extreme hardship. With rising prices in the oil industry, replacing the roof was a considerable expense, but there was no choice, and every homeowner had to pay or somehow finance the levy amount that it took to replace the roof, rather than repair it. The other side of this is the relative reduced value of your townhouse, condo, or commercial building if the roof is in poor condition. In the case of a strata situation, it must go into the minutes, therefore potential buyers know that they will be moving into a building that needs a new roof. And, anyone purchasing a commercial building will definitely check the roof for its condition prior to a sale. Appropriate roof maintenance by an experienced roofing company can circumvent roof replacement for a few years by doing needed repairs which keep the roof in good condition. The final thought on this is that we realized we need to institute a roof maintenance program anyway – with the new roof in place! If You Don’t See The Roof … Is Anything Really Happening There? Out of sight – out of mind is the norm for roof thoughts. You don’t see what’s going on with the roof, so have no sense of urgency or even concern. And, roof maintenance does not mean to make it look good from an aesthetic point of view. It means seam repairs, coatings and checking the flashings around protuberances, among other important matters. A roof should not be “forgotten” as it is an integral part of the building; and as the roof goes, so goes the value of the property and the potential for damage, repairs, leaks, mold, etc. The list goes on. A roof may only cost 10% of the total building cost, but roof issues can cause more than 50% of the building problems later. Had we known, in our strata council, about the value of regular roof maintenance done by professional commercial roofers, in comparison to what it cost us to replace the roof, we would have had a maintenance program in place without a second thought. Get the advice AND the roof maintenance program that you need to extend the life of your commercial roof and save money in the long run. This is a guest post by Wren Long. She writes for various websites on many topics and is a regular contributor to the content of Absolute Roof Solutions. Previous PostIs Regular Roof Maintenance Really Worth It? Next PostPeak Performance: Which Leak More, Multiple or Single-Peaked Roofs?